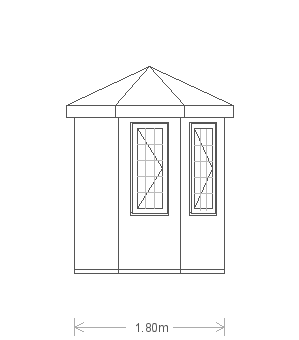 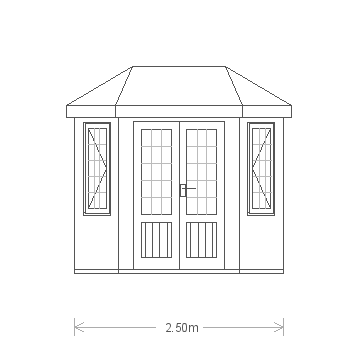 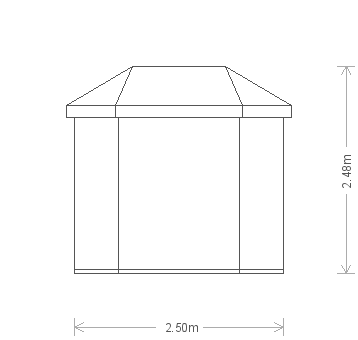 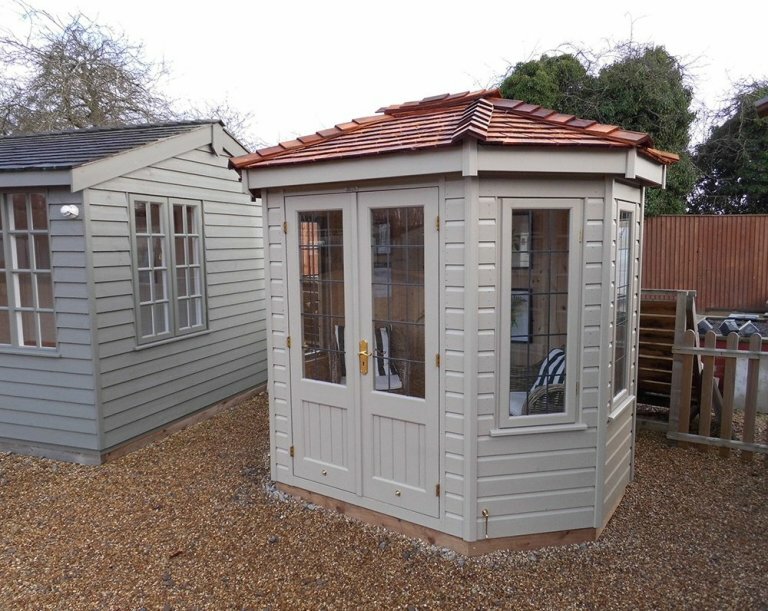 This attractive 1.8 x 2.5m Wiveton Summerhouse is the ideal retreat for the bottom of the garden with a distinctive octagonal shape and stunning leaded windows. 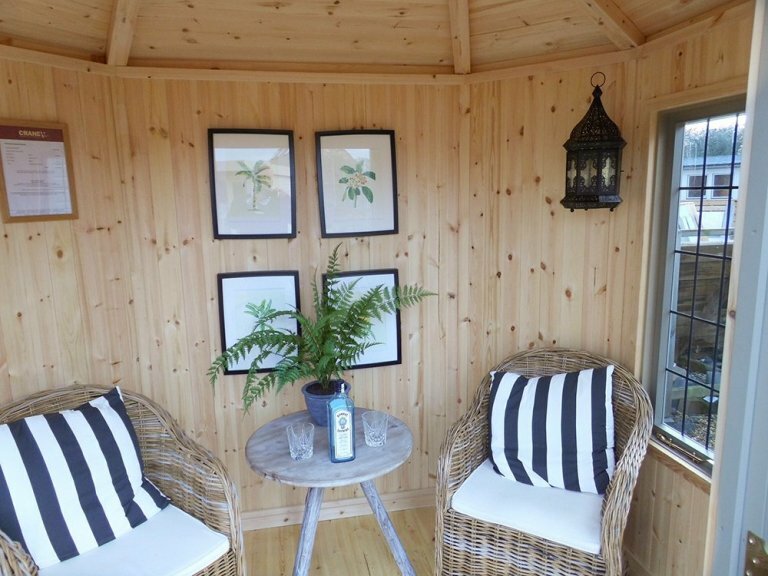 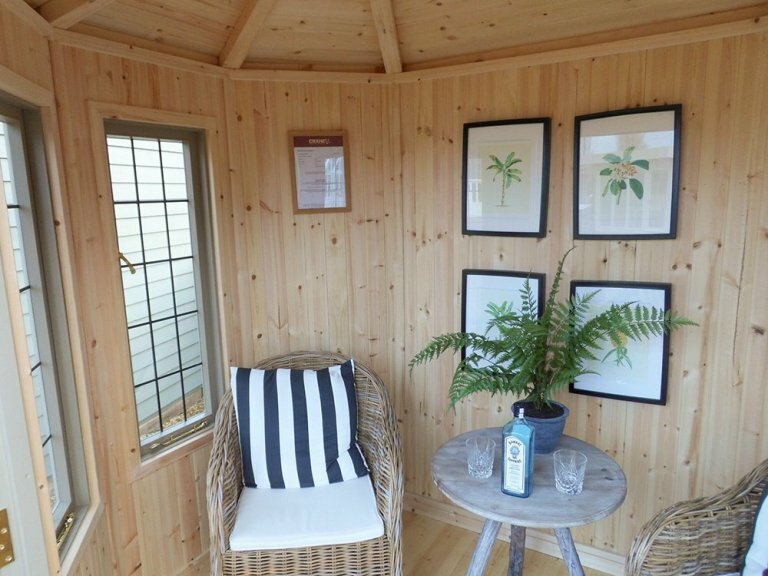 Internally, the Summerhouse is insulated and lined in the walls and ceiling with natural pine lining. 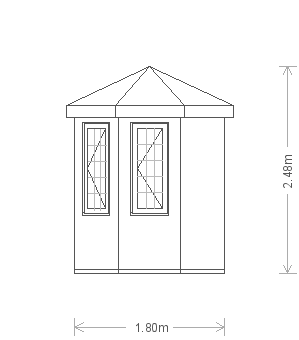 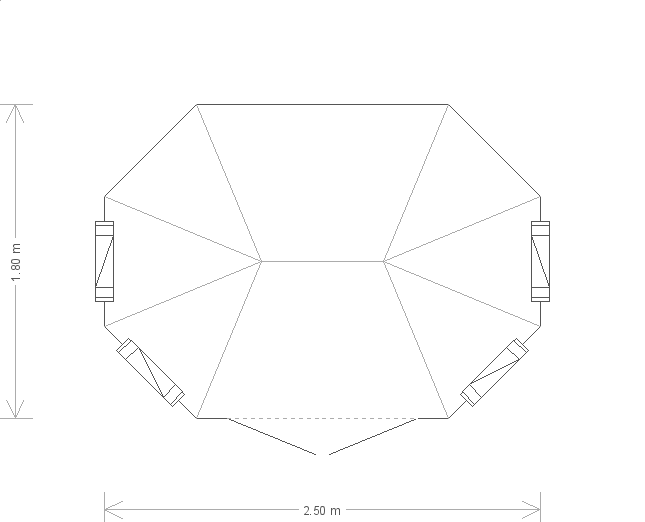 There are four opening windows for natural light and ventilation which enable sweeping views of the surroundings. 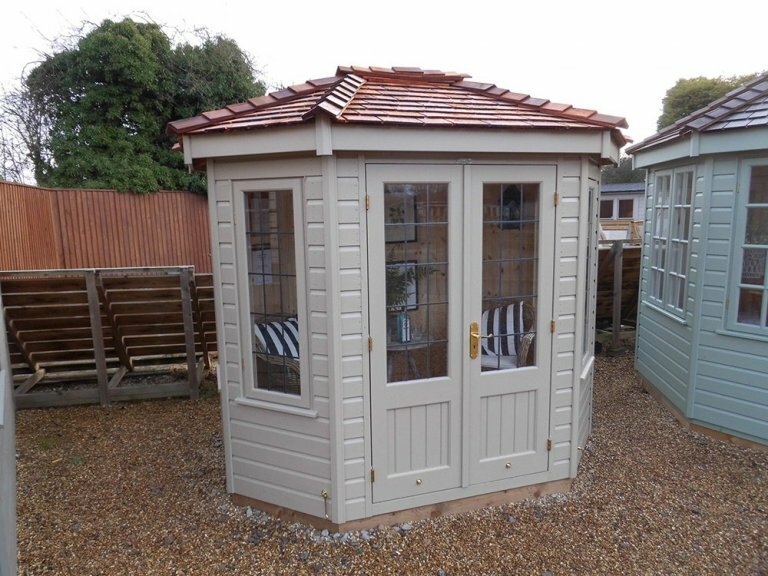 The charming roof is topped with cedar shingle tiles for a truly natural and sympathetic aesthetic.